... The 2008 tour dates and venues are listed below. Tickets for New Orleans, Reno, Phoenix, Las Vegas, Denver and Detroit go on sale SATURDAY JANUARY 26. American Express Cardmembers will also have the opportunity to purchase advance tickets January 26th through February 1st for Rush performances in Boston; Chicago, Ft. Lauderdale, Holmdel, Wantagh and January 27th through February 2nd in Los Angeles and Irvine. In addition there will be a MUSICTODAY fan club presale for all Rush performances in conjunction with RUSH.COM starting January 22 through January 24. No more speculating; there will be a live CD. There also is no mention of South America. I don't know what's up with that; hopefully some details will be forthcoming. I fixed the May dates - the low-fi version of Rush.com had them a bit mixed up. UPDATE - 1/18@8:25AM: I've repeated the dates below. 48 dates!! And that's not counting the South American dates! I'll take a closer look at the dates and have more to say later. UPDATE - 1/18@8:02AM: US and Canadian dates are up! Check them out here. UPDATE - 1/18@7:29AM: Good morning. 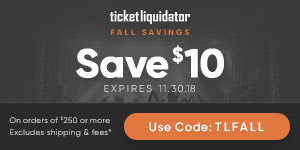 Dates are starting to pop up on Ticketmaster. That Pittsburgh show is going to happen on July 2nd. It also looks like January 26th will be the date the first round of tickets go on sale; this is the case for the Detroit show with pre-sales beginning on the Tuesday Monday prior (Jan. 21). Also, in case you missed it - in the last update to my previous post late last night I indicated that the Milwaukee show is a go and will occur on June 27th at the Marcus Amphitheater. It's official! The 2008 Snakes & Arrows Live Tour will be announced Friday, January 18th at 8am EST at http://www..RUSH.com . For full tour details, including onsales and fan club presales, please stay tuned to the website.